Hi all and welcome to my little blog. I'm afraid there aren't many photo's as I got a bit engrossed and didn't take any! I started off with four cup coasters that I had bought cheap as the box was damaged, I sanded the printed side slightly to make painting easier. First I painted them all in fluorescent pink, then in buff and then in a lovely turquoise colour. Each time I only roughly painted so that you could see a bit of the colour underneath. I used a brayer which helped to make it a bit patchy, which is what I wanted. Once I was happy with the base I used versamark ink to stamp the various Clarity word stamps into a corner of each of the coasters. I then used the butterfly tree set, which also has these lovely large butterflies with it. 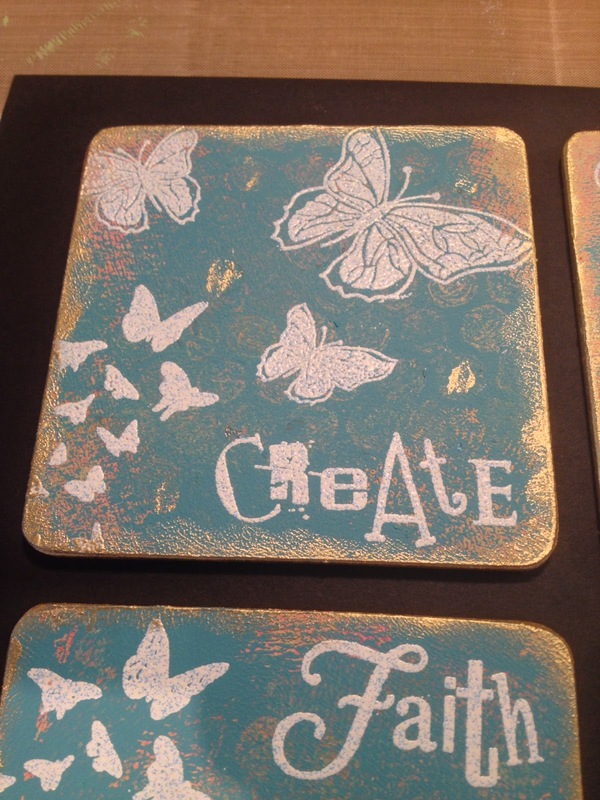 I just used the butterfly part of the stamp in the confers then the larger ones. 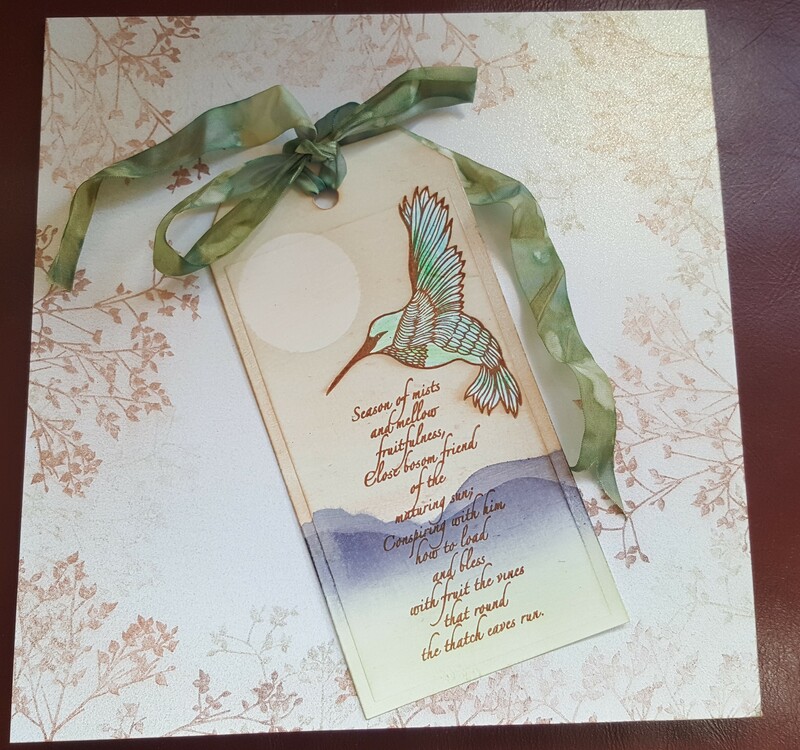 I used an opaque white and pale blue speckled embossing powder and heat embossed it. I love this look. Once it had cooled down I used some Pebeo gilding wax round the edges and tiny bits over the middle too. Once it was buffed up it looked lovely. I have three friends who I love very much and I decided that these words would mean something special to each of them, so I wrote a personal message on the back of all of them and put a magnet on the back too. The next time we met I handed them out so that we all have one of the set, and know that we are always there for each other. Luckily they all liked them. Whew! Thanks for reading my little blog, and hope you can join in with the Clarity Challenge this month. It's great fun to try something different.